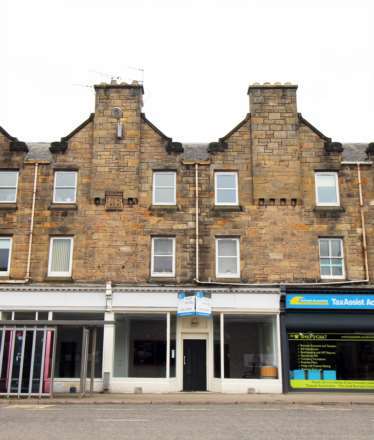 Spacious two bedroom flat located in the town centre of Inverness. Accommodation comprises two double bedrooms, bathroom with separate bath and shower enclosure, lounge and kitchen. Electric Heating Only. Unfurnished. Delightful 2 bed end terrace house. Accommodation comprises lounge, kitchen,utility, bathroom with shower, 2 double bedrooms, boxroom, WC, sun terrace and garden. White goods included. Spacious two bedroom first floor flat with ideal central location, close to the harbour and all local amenities. To be let unfurnished with the benefit of white goods. Accommodation comprises lounge, kitchen, two double bedrooms & shower-room. AVAILABLE MID APRIL - Well presented, two bedroom terraced cottage located just off the High Street. To be let unfurnished. Accommodation comprises of: kitchen, lounge, bathroom, two double bedrooms with built-in wardrobes. EPC - D Landlord Reg - 244485/270/27101. Well presented top floor two bedroom flat with great central location. To be let unfurnished but with the benefit of white goods. Accommodation comprises lounge, kitchen, shower-room, double bedroom and single bedroom.